I've spent the past 32 years designing, building, repairing, and modifying scientific instruments, prototypes, and models, as well as teaching engineering students to design and build mockups and prototypes for engineering design projects. I've worked on thousands of projects for physicists, chemists, chemical engineers, material scientists, biologists, and biomedical engineers, as well as small companies and startups. 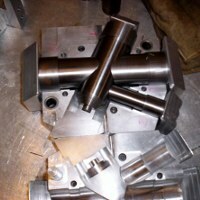 I can help you with machining of small to medium size parts, welding, brazing, one-offs to short production runs, assemblies, and, maybe most important, I can help you with the important design aspects that make the difference between a project that barely works or one that elegantly solves a problem.